One of my first Christmas gifts came earlier this week. After a lively lunch, a dear friend of mine handed me a long, cardboard tube. 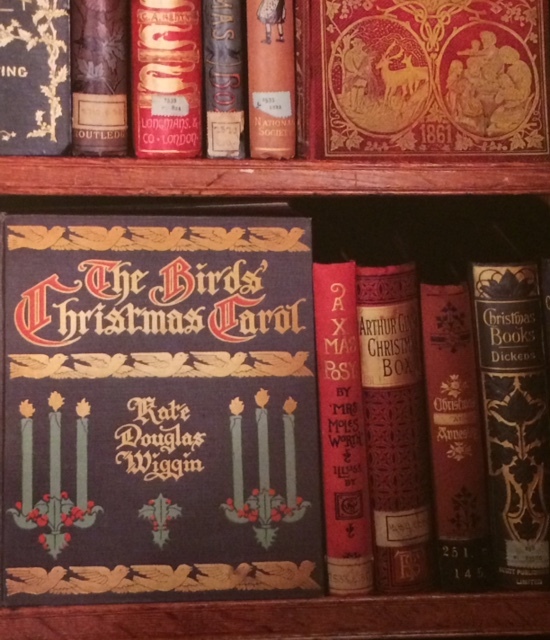 Rolled up inside the tube were six sheets of paper, lined with the images of colorful, gilded book bindings—lovely antique visions from the Bodleian Library’s Christmas Book Collection. My friend was right, she had to give me my Christmas present early. As a librarian with a deep partiality for exquisite, old books, how could I wrap my Christmas presents for family and friends in anything else? The gift under the paper may be singular, but the wrapping paper wants to be everybody’s friend and happily wishes that everybody else also wants to be friends with each other. As I hope C.S. Lewis would quip, if he had written The Four Gifts rather than The Four Loves—wrapping paper is the least jealous of the gifts, always ready to extend its cheer and warmth to all. What a fine way to introduce the wrapping paper giver to others I admire and love. And, what a fine way to start the Christmas season.